I need to get one thing out of the way before I go any further: I adored The Revenant. However, not everyone shares my enthusiasm for the recent team up between Alejandro Iñárritu and Leonardo DiCaprio. Even Hollywood insiders have begun to show their divided opinions on the highly controversial film. Some continue to call for Leo to finally get his Oscar win, while others remain steadfast in their belief that he simply does not deserve it this year. I rule out Leonardo immediately because it's a ridiculous performance. They are running his campaign based on how hard it was to make the movie, right? I'm tired of hearing about it — that's what he gets paid for! I mean, this was not Nanook of the North, for Christ's sake. Give me a break. He got millions of dollars, and I would assume they had heaters. The fact that he's never won before? He's a young man, he still has time. Overall it appears that this voter does not consider volunteering to put oneself through hell a valid reason to win an Oscar. It’s technically a fair point; harsh working conditions don’t necessarily have anything to do with the quality of Leonardo DiCaprio’s performance. This particular voter eventually would go on to assert his or her belief that Eddie Redmayne should win for his role in The Danish Girl – a decidedly different film than The Revenant at just about every turn. It would be easy to say that this is a bad sign, but there are numerous members of the organization, all of whom have their own opinions on the matter. However, this opinion does seem to echo the Revenant naysayers who continually assert that this is not the movie Leonardo DiCaprio deserves an Oscar for. Maybe this is a sign of backlash against DiCaprio, or maybe it's just an isolated (albeit heated) opinion. I dislike The Revenant intensely — it's a beautifully shot Road Runner movie, in the sense that Leonardo DiCaprio keeps falling down and getting up, and who cares? I don't. In all honesty that does sort of feel like an oversimplification of the entire movie. 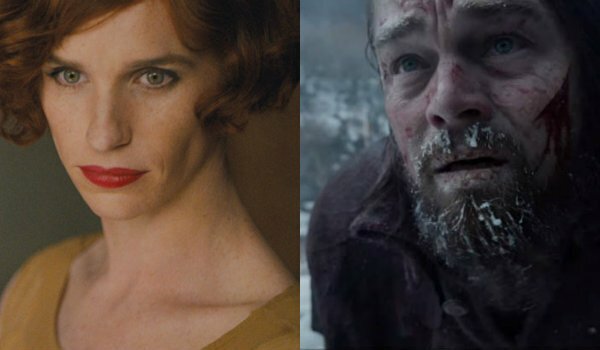 The Revenant is a story about perseverance in the face of overwhelming odds. Yes, Leonardo DiCaprio’s character takes a serious beating throughout the movie, but then again so did the real Hugh Glass. No matter what it seems like this voter has made a firm decision on the matter. We will just have to wait and see how things pan out this coming Sunday. Leonardo DiCaprio could very well walk away with his first Oscar, or he could juts have to keep waiting. What do you think of his performance in The Revenant? Let us know in the comments and be sure to check out The Academy Awards when they air this Sunday.